Empowering parents and providing low-income children with an early foundation to succeed. By 4th grade, nearly half of low-income children are reading below grade level – a public health and education crisis. There are vast gaps in development, school-readiness, and long-term educational achievement between children growing up in poverty and those in households with more resources. The Video Interaction Project (VIP) is a unique and innovative approach to lessening disparities through guided parent-child interactions during pediatric visits that foster optimal cognitive, linguistic, and social development. VIP takes place within the Bellevue Project for Early Language, Literacy and Education Success (http://www.videointeractionproject.org/). VIP coincides with pediatric well visits from birth until a child is 5 years old. These visits represent an exciting and underutilized opportunity to engage in preventive efforts with families, due to the 13-15 regularly scheduled “check-ups” that all must attend for their children to receive the immunizations and screening necessary to enter school. VIP builds on Reach Out and Read (another CoB Core Program) during visits to the pediatric clinic. 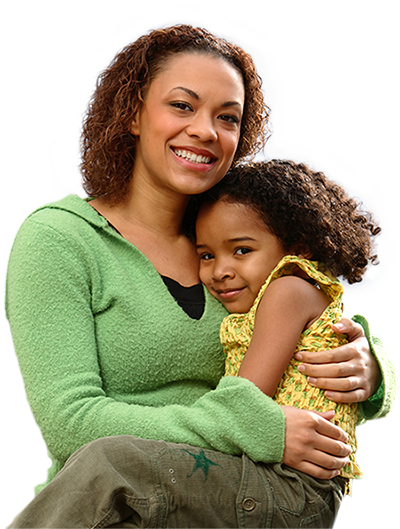 An interventionist (an individual with a Child Life or related background) meets with families for approximately 25 minutes while they wait to see their pediatric health care provider. The core component of VIP involves the interventionist making video recordings of parents and their children engaging in play and/or reading aloud. The parent then reviews this video with the interventionist, who guides the parent towards better understanding and improving interactions with their child. Learning materials, including toys for pretending together and books for reading aloud, are given to parents to take home. These materials have been specifically selected to promote parent-child engagement in activities that support child development. Because VIP takes place in the healthcare setting, costs are dramatically reduced ($150/child/year) when compared to preventive programs taking place in other settings, such as home visitation or early education. This means more families can be reached at 1/100 to 1/10 of the cost, and demonstrates the potential for VIP to be provided for at-risk children across the population. Kids and parents who participate in VIP have great results! Despite its low cost, VIP has huge impacts on parents and children. Parents in VIP are better able to cope with the stresses of raising their children in the context of poverty’s many challenges, and are empowered to engage in more interactive activities such as playing together, reading aloud, and teaching. VIP helps close the gaps in development that place low-income children at risk for long-term educational difficulties. In particular, children in VIP developimproved skills necessary for success in school, including greater problem solving abilities, higher IQs, better language and early literacy, improved ability to focus, and reduced behavioral problems like hyperactivity and aggression. The success of VIP has earned the program multiple grants from the Tiger Foundation, The Marks Family Foundation, the Rhodebeck Community Trust, the New York Community Trust, and the National Institutes of Health in order to increase its scope, assess its long-term impacts, and encourage its replication in other hospitals and clinics across the United States.